Last week, I held a meeting on crime and policing in response to resident concerns in Frankley and Great Park. Thanks to everyone who joined West Midlands Police and Crime Commissioner David Jamieson and the Longbridge Neighbourhood Police Team and for letting us know your views. Thanks also to B31 Voices for live-reporting from the meeting. Some useful ideas came out of the meeting about initiatives we can take locally – including encouraging more people to get involved with Longbridge Neighbourhood Watch. We also discussed how local Streetwatch initiatives can help keep communities safe (see more here – https://www.west-midlands.police.uk/get-involved). Police Community Support Officers can help local people who may be interested in setting up a Streetchwatch in their neighbourhood so please email me if you are interested. It is also vital, however, that our Police get the resources they need to do their job. This is what I said at the meeting about the impact of cuts and cash shortfall facing West Midlands Police. ‬Along with other Labour MPs I will continue to press the Government to give West Midlands Police a fairer funding deal. 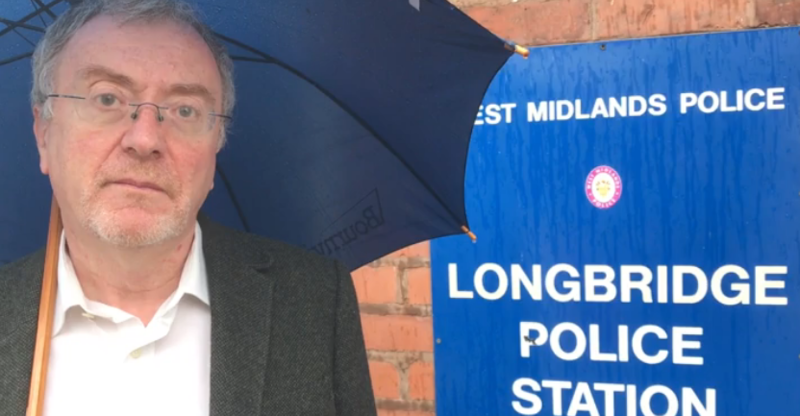 £130m cuts force police to choose between keeping local Police stations open and recruiting officers, says Richard Burden as Longbridge Police Station faces closure. West Midlands Police have announced that Longbridge Police Station will close at the end of May, with Northfield and Longbridge neighbourhood Police teams moving to work out of Bournville Lane Police station and the Weoley neighbourhood team working out of Quinton. Government cuts have put our local Police in the invidious position of having to either close buildings or lose more officers. With £130m of cuts already leaving West Midlands Police with 1,700 fewer officers and over 360 fewer PCSOs than it had in 2010, they had little choice but to choose officers over buildings. I am confident that the Police will do everything they can to make sure that the loss of Longbridge Police station does not affect the service they provide to the public. Even so, the Government should not have put the Police in the position of having to lose the visible presence on Bristol Road South which Longbridge station represents. Our region is also being hit unfairly hard. Even though the actions of Birmingham’s Labour MPs in Parliament helped stave off even worse cuts to our Police, National Audit Office figures still show that West Midlands Police has lost over £130m since 2010 – around five times the level of cuts experienced by leafy Surrey. It shows a cockeyed sense of priorities by Conservative Ministers who clearly cannot be trusted to back our Police in keeping the streets safe. It’s another reason why we need a change of Government on June 8th and why we need Labour MPs back in Parliament after the election to carry on fighting for Birmingham – whoever is in Downing Street.